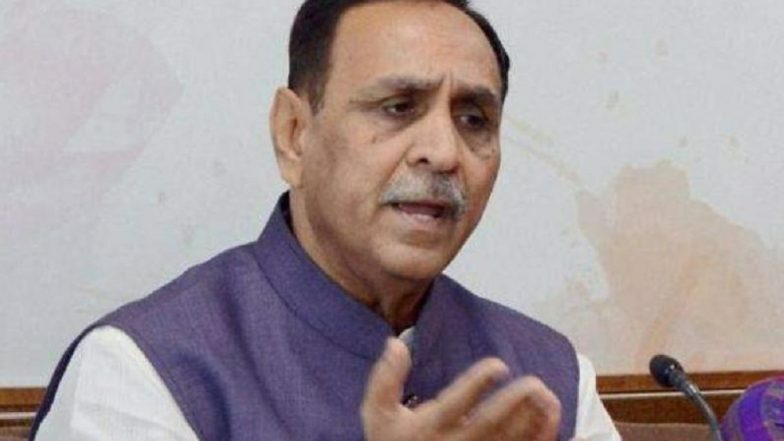 Gandhinagar, March 25: Gujarat Chief Minister Vijay Rupani has said if poll results showed a trend of Congress winning, "Diwali would be celebrated in Pakistan". "While it is unlikely to happen, but if that happens on the May 23 on the results day, and the results show a trend that Congress is winning, Diwali celebrations would start in Pakistan," Rupani said at the 'Vijay Sankalp Rally' on Sunday. The Bharatiya Janata Party launched its rally from Mehsana, the north Gujarat region dominated by the Patel community. "The Congress has encouraged terrorist activities because it is prompted by only vote bank politics to garner Muslim votes. The Congress has been acting as if it's a party of Pakistan, " Rupani said. Vijay Rupani Blames Congress For Farmers Suicides in Saurashtra Region, Says ‘Opposition Parched People to Death’. "This is election time and such type of hype is being created to fetch votes," said, Amit Chavda, Gujarat Pradesh Congress Committee (GPCC) president, while responding to the Chief Minister's statement.